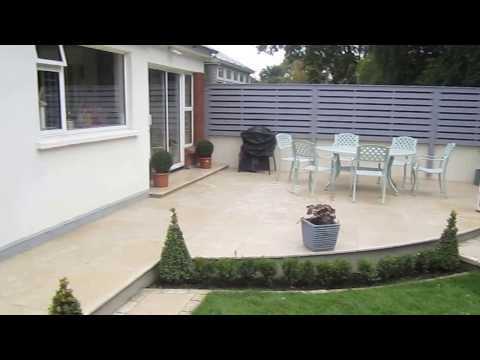 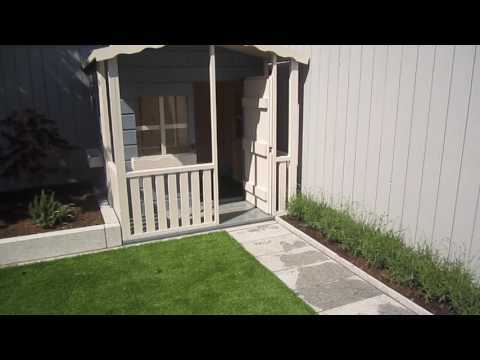 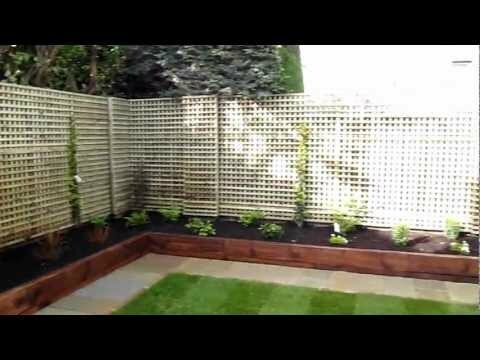 This garden design consisted of a hardwood deck surrounded by raised beds and western red cedar cladding. 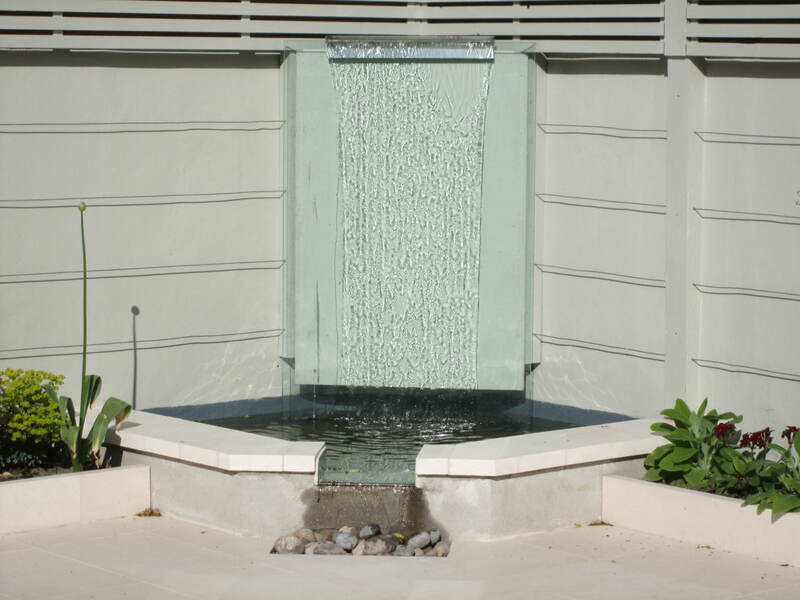 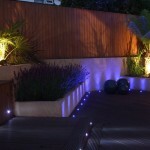 A child friendly granite ball water feature was used in one raised bed with a mirror behind to give a sense of depth. 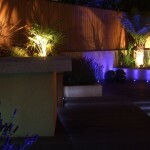 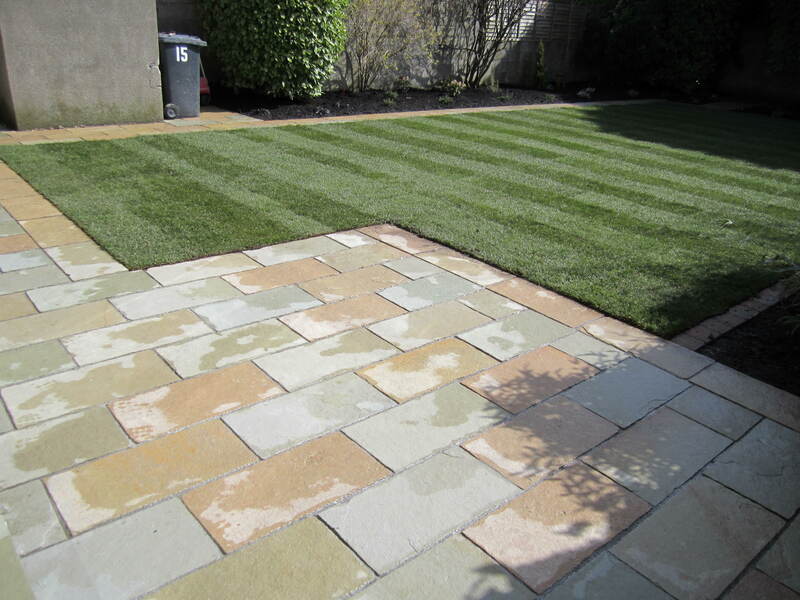 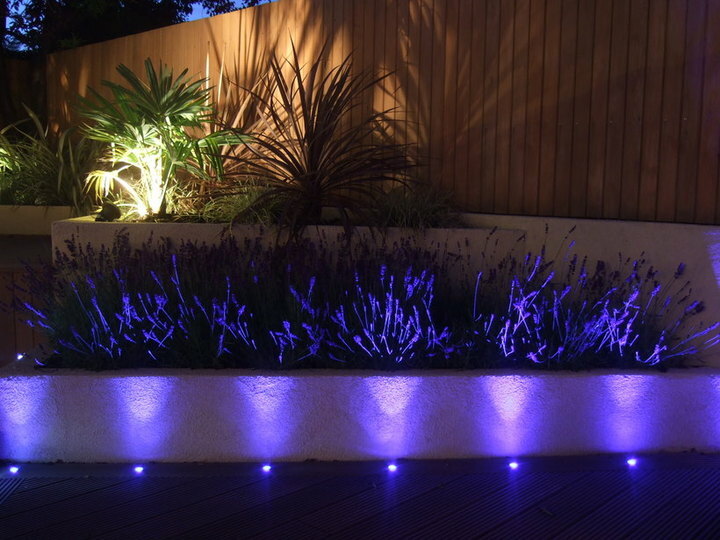 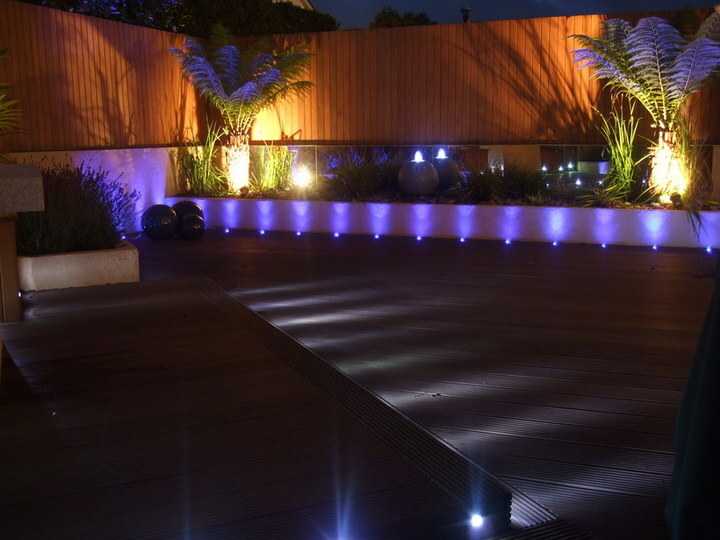 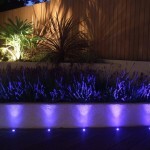 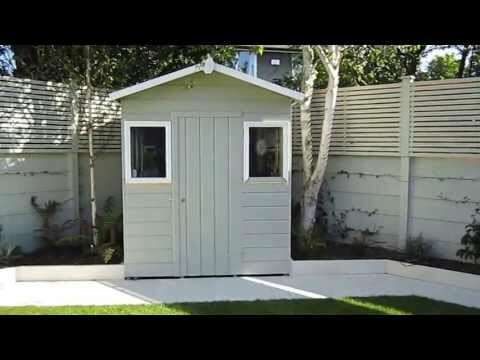 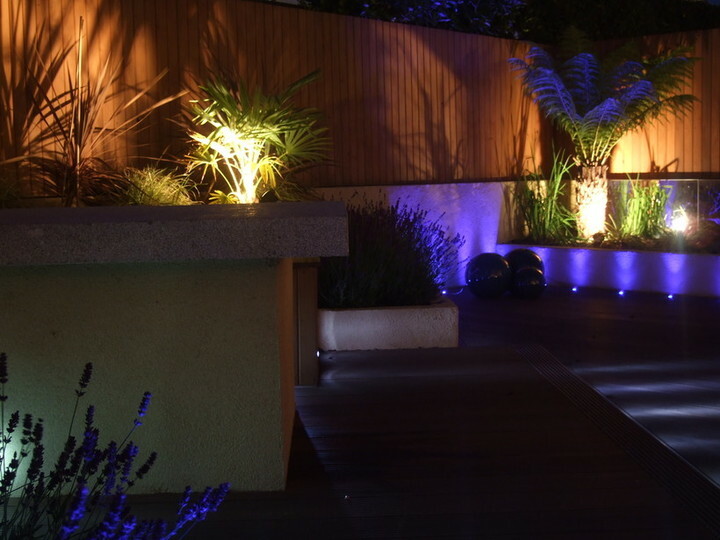 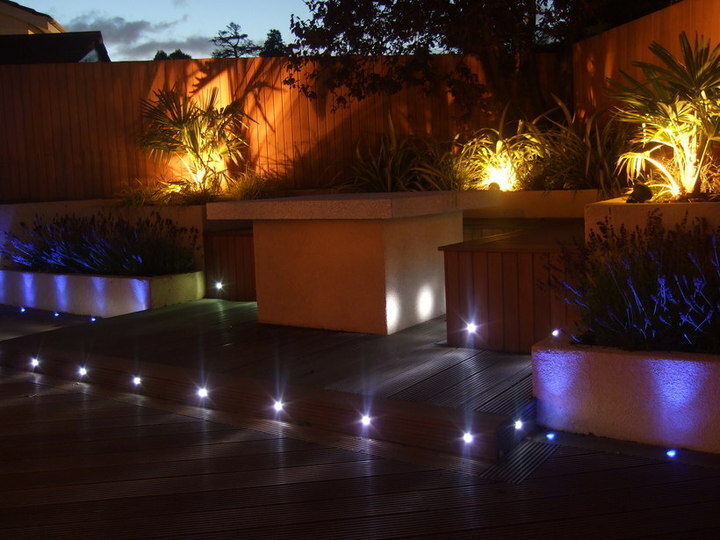 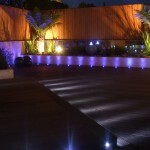 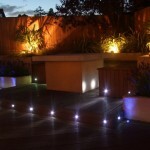 Garden lighting is an important factor in this garden and has been used within the deck, cedar caldding and beds. 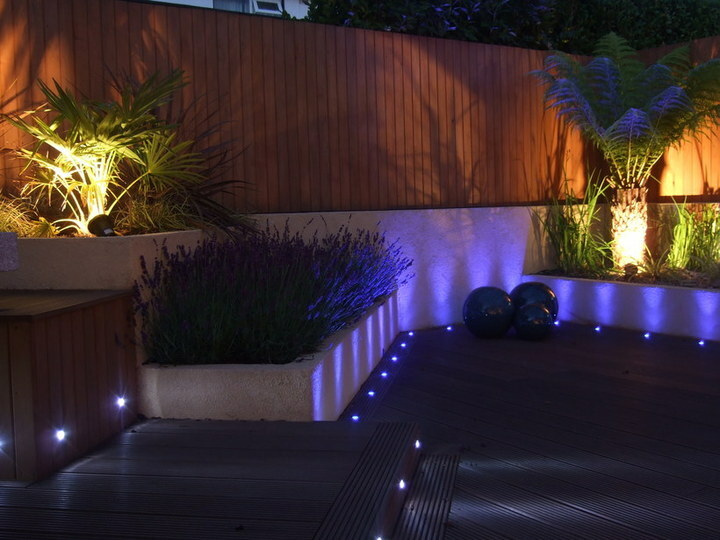 Outdoor speakers were connected up to the stereo inside and are placed beside the seating area. 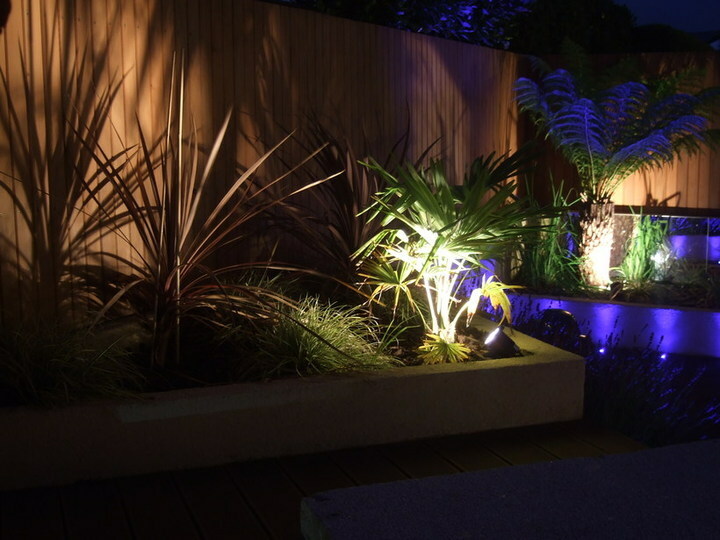 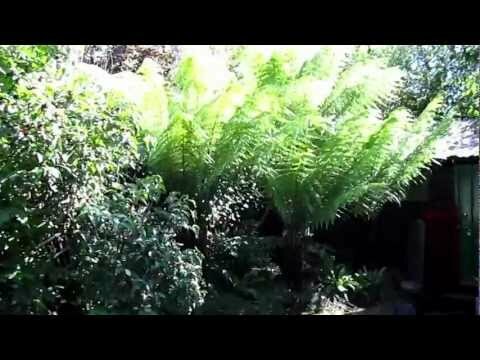 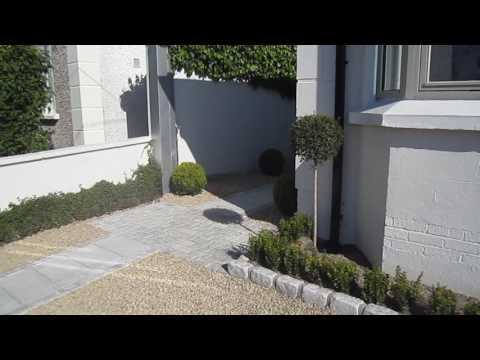 The planting is mostly architectural in style with two specimen tree ferns to add wow factor. 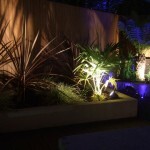 Please click on an image to view the slideshow.